Stef and her husband Daniel first moved to Ashland in the 1970’s. Their son Josh was born here while Stef worked at Ashland High School as a counselor. In 1983 they made the difficult decision to move to the California Bay Area and pursue their careers. Stef worked as a program specialist and school psychologist for Pajaro Unified School District and Dan started a children's out-patient program at Kaiser Permanente. Stefani has always been interested in education, environmental issues, and the facilitation of consensus building communication in decision making. 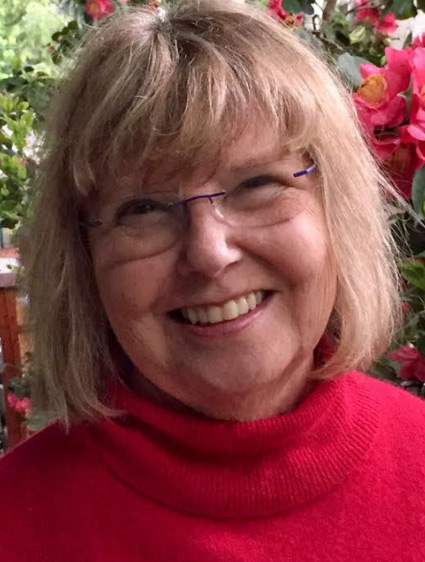 As president of the Santa Cruz Montessori school board, she successfully led a major building project. She also served as vice president of the Pajaro Valley Unified School District teachers union, and was on the negotiating team during their budget process. Through these experiences she gained budget management knowledge, leadership skills, and an understanding of management and labor issues from a variety of perspectives. In 2006, Stef and Dan returned to Ashland to pursue their interest in creating contemporary art glass. Stef has served the Ashland Community for the past 12 years in a variety of leadership roles: as a liaison to the Forest Lands Commission for the past eight years, and as a commissioner and chair of the Ashland Parks and Recreation Commission before being elected to the City Council in 2014. Her Council experience includes serving as a liaison to the Airport Commission, Transportation Commission, Senior Advisory Committee, Ashland Forest Resiliency Project, Rogue Valley Council of Small Cities, the Ashland Chamber of Commerce , Citizens Budget Committee and Chair of the Ad-Hoc Climate and Energy action plan Implementation Committee and the fire wise mitigation commission. In addition to these roles she is a founding member of the Watershed Art Group whose mission is to promote stewardship of the Ashland watershed. The group has acquired funding for three sculptures that are located on the Bandersnatch trail. Stef is committed to her role as an Ashland City Councilor who cares deeply about the community and about making a positive difference for all segments of the city. Over the years she has gained a broader perspective of the wide range of city functions and the roles of staff and city and understands that it takes a while to learn the complexities of city government, programs, ordinances and rules. Stef enjoys meeting with citizens and keeping an open dialog with the community. 3. Supporting planning processes and incentives that promote affordable housing. (Examples are the Affordable Housing Trust Fund and more flexibility in infill strategies and zoning to encourage affordable housing options such as cottage housing. 4. Supporting the development of a growing economic base for Ashland to thrive. (Example of this is support of the Chamber of Commerce Ashland business resource portal and Enterprise zones in Ashland. 5. Continued development of services for seniors, including age-friendly housing, better transportation options and support services that allow seniors to age in their homes. 7. Continuing to advocate for the county to provide satellite services in Ashland for mental health and drug treatment.